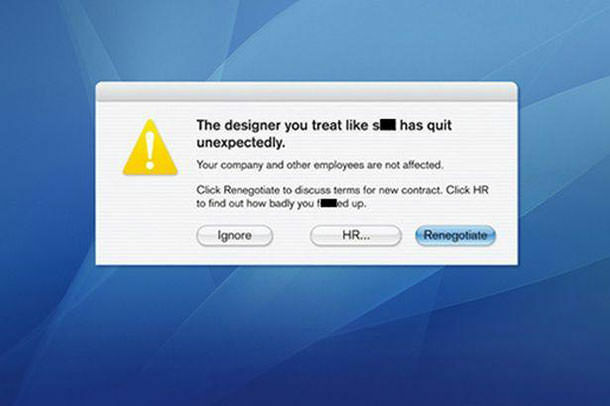 Whether you’ve got a worryingly evil boss, horrible colleagues or you’re just moving onto something better, the feeling of quitting your job is undeniably great. But these particular individuals took their announcements of resignation to whole new weird and wonderful levels, and we love them for it. 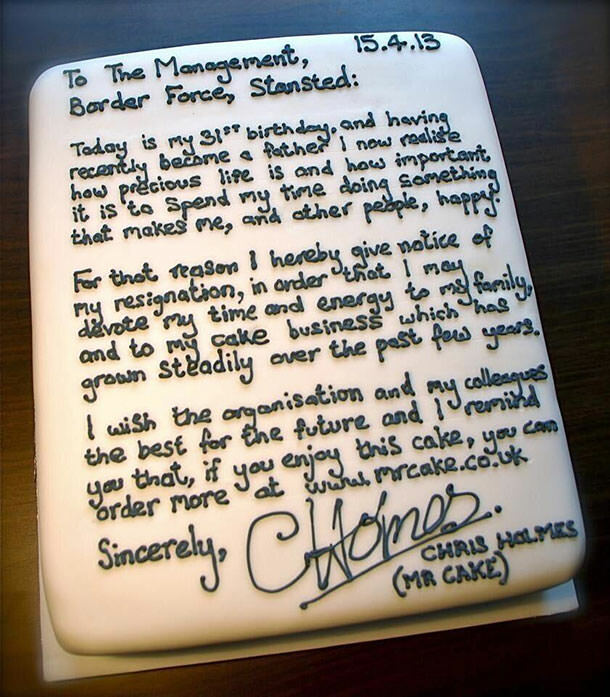 Take a look at the most undeniably awesome resignation letters ever. We wish you nothing but the best of luck, Chris. 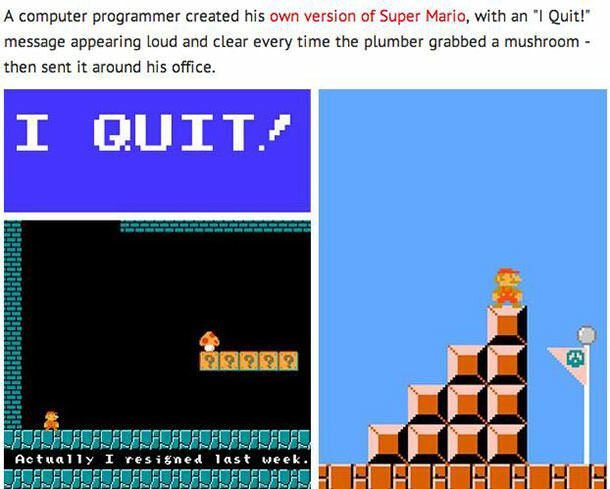 This is so undeniably legendary that we want to find this guy and give him some kind of crown or medal. Now, that is some seriously glorious signage. 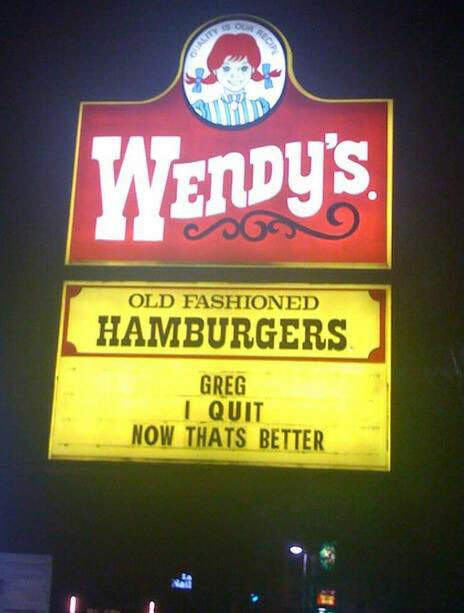 Sorry, Greg. 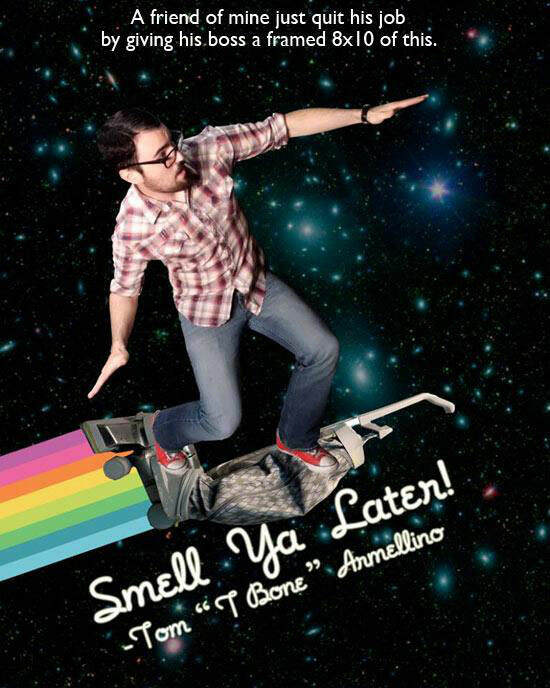 If you’ve got a particular talent like this, then why not use it to announce that you’re getting the heck out of your job? Let’s give a round of applause for this very clearly disgruntled employee. 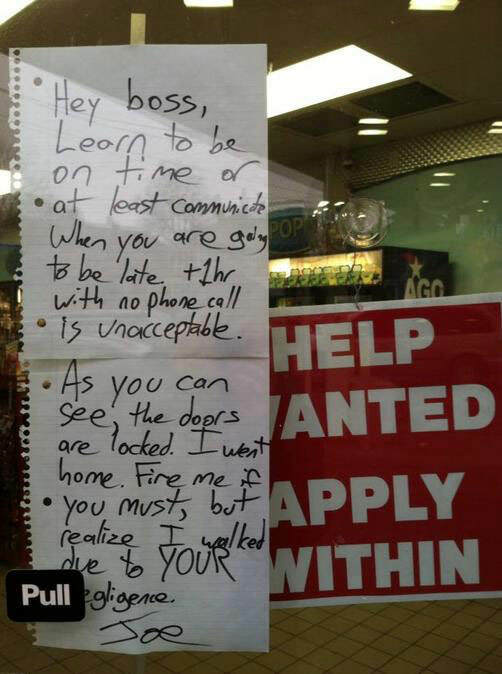 Now that’s how you bail on your job! Here’s yet another miraculous use of a sig. 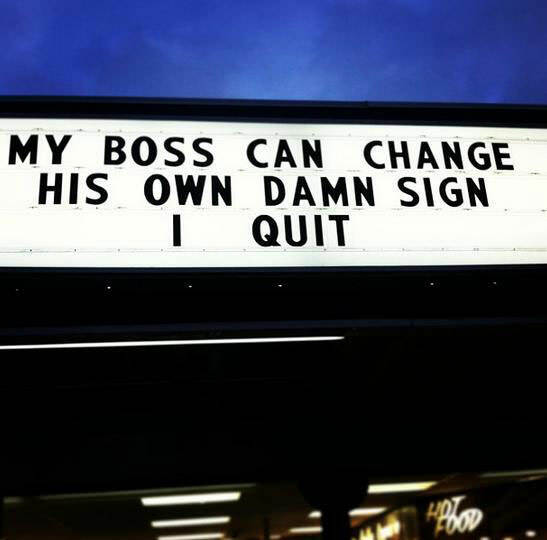 From now on, we think signs should be used exclusively for resignation announcements. This must have been one of the greatest days of Joey’s life. The guy had his own celebratory marching band to commemorate such a monumental occasion. 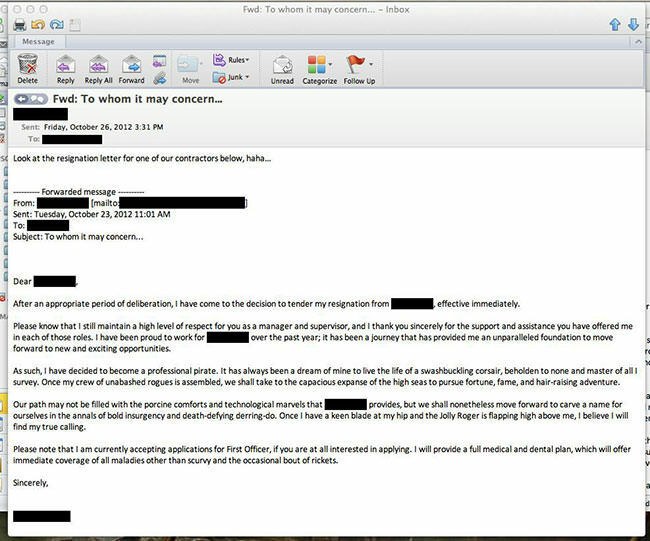 Amy wins the award for the best line on her resignation letter. 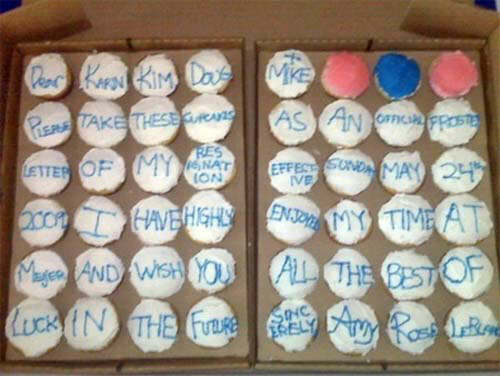 “Please take these cupcakes as an official frosted letter of my resignation.” Amazing. Next articleTaylor Swift Has Just Donated A Huge Sum of Money To Kesha – But Why? These 20 tweets from people will make you re-assess your humble existence - proving there are real people out there with real issues.